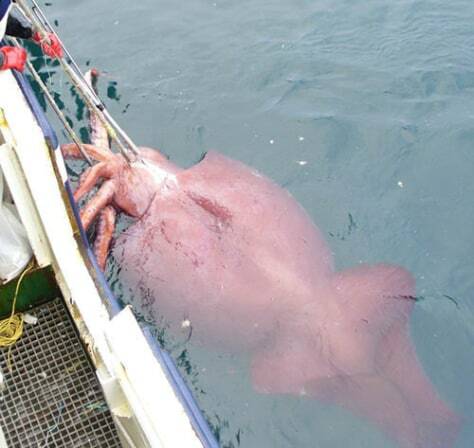 The colossal squid is a pretty big squid. It is thought to be the largest invertebrate, measuring 39 to 46 feet long. It also has the largest eyes of any animal. One of the few animals that dares to mess with a colossal squid is the sperm whale. They account for about 14 percent of the squid beaks found in the stomachs of sperm whales.